The original New Hampshire Insurance Company was formed in the 1860s and remained a viable independent insurance organization until the beginning of the 21st century when the giant international corporation, American International Group, known better by the initials AIG, acquired it. AIG is the largest provider of industrial and commercial insurance policies in the United States. In addition to insurance, AIG markets investment programs and other financial services in more than 130 countries worldwide. AIG was founded back in 1919 by Cornelius Vander Starr. The company’s first offices were in Shanghai, China and Starr became the first western businessman to sell insurance products in China. Starr continued in China for 30 years until China’s communist regime, under the leadership of Mao Zedong, took over in 1949. Corporate headquarters were moved to New York City and the company continued to grow and expand its multinational business operations. Today the AIG group consists of more than 40 subsidiaries. One of the largest AIG acquisitions occurred in 2001 when AIG purchased the American General Life Insurance Company. Two major divisions provide insurance services in the public sector, Chartis and AIG. 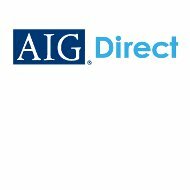 The AIG Direct subsidiary is probably best known to the American public for its aggressive marketing of term life insurance policies. Chartis is a global corporation that focuses on its commercial and industrial clients. Among its current projects is the rebuilding of the World Trade Center in New York City. Chartis also provides personal insurance services for wealthy high profile clients protecting their property, and offering liability and travel coverage. The Chartis career webpage allows the user to search US or foreign career opportunities. Resumes may be submitted online for any position. In the United States alone, there are more than 50 pages of professional job listings to examine. These include insurance, finance, and accounting and legal positions throughout the continental US, Alaska and Hawaii. The best known of the AIG Insurance Group is AIG Direct whose website boasts free insurance quotes. Customers may obtain a fast, easy, and accurate rate quote either by filling in a brief questionnaire on line or by dialing a toll free number, 800-294-4544. Either option puts a customer in touch with Matrix Direct agents who issue policies through the American General Life Insurance Company, another division of AIG. Deep discounts for term life products, up to 70%, are advertised on the site and are possible because of AIG’s direct marketing program and the tremendous volume of customers that AIG has garnered in recent years. AIG Direct ads may be seen and heard online, on television and radio, and in print media. The AIG Direct website also contains a consumer education page. This page provides useful information and answers many common questions about term life insurance. Customers consistently rate AIG Direct service in the 4.6 – 4.7 range out of a possible five star rating. Customers rate AIG highly on the ease of working with AIG’s knowledgeable agents. They also give AIG good marks for customer service. The individual reviews of hundreds of customers are available on the AIG website. SunAmerica is a group of professional companies that specialize in asset management, financial services and provide advice for retirement and other investment funds. International Lease, ILFC, provides financing solutions for the commercial airline industry. They work with all the leading manufacturers including Boeing and Airbus and engine manufacturers General Electric, Pratt and Whitney and Rolls Royce. They are also expert at insuring these types of vehicles. United Guaranty Corporation is headquartered in Greensboro, North Carolina and has become one of the largest providers of private mortgage insurance, PMI, in the United States over the last nearly 50 years. They provide their products and services through lending institutions such as banks and credit unions, and directly to homeowners. They also provide a range of products to mortgage servicers insuring against loss and minimizing potential risks.